Lost amid the recent outrage over the Trump Administration’s climate policy and budget rollbacks is some good news. For the third straight year, the world’s carbon dioxide emissions remained flat, and US CO2 emissions fell by 3% last year, according to the International Energy Agency. This follows a larger pattern: US greenhouse gas emissions have fallen by at least 12% since 2007, the largest reduction of any major economy in the world — even as the overall US economy has grown by more than 15% over the same period. Yet, the Trump Administration seems intent on creating an “alternate” reality, suggesting that only they know how to create economic growth and jobs while cutting carbon emissions, when in fact the policies they propose are putting current progress at risk. Paul Bledsoe, professorial lecturer in SPA’s Center for Environmental Policy. In announcing the executive order directed at undoing the key Clean Power Plan greenhouse gas regulations, Trump Environmental Protection Agency Administrator Scott Pruitt engaged in such double-speak. “For too long over the last several years,” Pruitt told ABC News, “we’ve accepted a narrative that if you’re pro-growth, pro-jobs, you’re anti-environment.” Yet under Obama’s supposedly “job-killing regulations”, as Trump called them, more than 11.3 million new jobs were created, compared to just 2.3 million under George W. Bush. The US saw a record 75 straight months of job growth under Obama, all while greenhouse emissions fell substantially. Energy experts agree that the drop in US emissions during the Obama years amid economic growth was accomplished through both energy market changes, especially cheap shale gas, and specific federal policies that the Trump Administration is proposing to overturn. US electric utilities, for example, altered their investment patterns away from coal, and toward low-emitting US gas and zero-emissions renewable energy, because they know long-term CO2 limits, which President Obama proposed, are inevitable. The Trump Administration seems intent on creating an “alternate” reality, suggesting that only they know how to create economic growth and jobs while cutting carbon emissions, when in fact the policies they propose are putting current progress at risk. 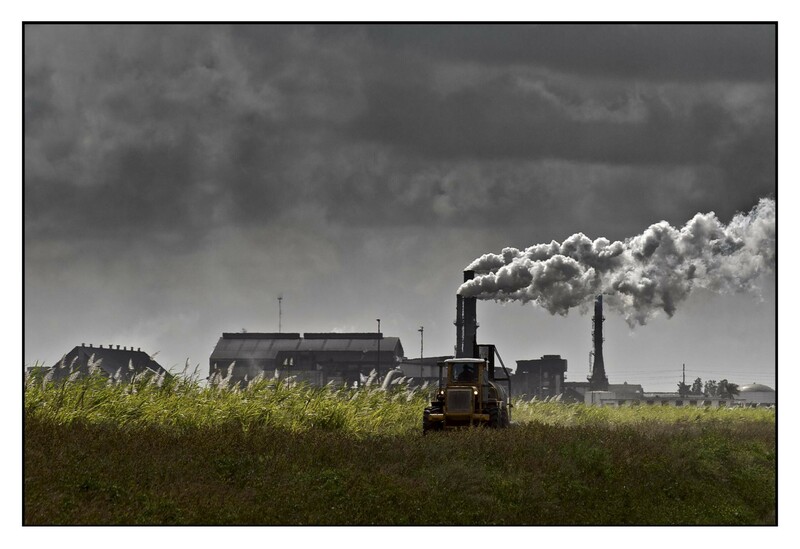 “Clean Power Plan or not, there will be something in the future on carbon control. So there’s no question that the industry is moving forward with cleaner energy. We will not be building large coal facilities.” But Trump’s challenge to the Clean Power Plan will throw the issue to the courts, creating near term uncertainty and delay. In transport, US emissions have been reduced over the last decade as well, largely because of vehicle fuel economy standards, begun under President Bush, and strengthened under Obama. These rules, agreed to by the industry, have saved US motorists hundreds of billions of dollars in gasoline costs and cut emissions, yet President Trump has indicated he will water down future fuel economy targets. The US economy is also far more efficient in using energy than it was a decade ago due to revolutionary efficiency standards for appliances, and industry investments in less wasteful building lighting, cooling and heating efficiency. Trump’s proposed budget calls for cutting all of these programs, as well, and has no plans to upgrade efficiency standards as technological and industry advances make possible. In total under Obama, the American economy has effectively decoupled economic growth from emissions growth in the last decade, producing 23% fewer energy-related CO2 emissions per unit of GDP in 2015 than it did 10 years earlier. This allowed the US to be exactly on pace to reduce emissions 17% below 2005 levels by 2020, as promised by President Obama under the 2009 Copenhagen Accord. This progress in turn set the stage for the US commitment under the Paris Agreement on climate to cut emissions 26–28% below 2005 levels by 2025. But nearly all analysts now believe the US Paris climate goals will be impossible to achieve if the proposed Trump rollbacks go into effect. Most tellingly under Obama, the US energy economy — including oil, natural gas and renewable energy — has also enjoyed an unprecedented boom. America became the world’s largest producer of natural gas and oil in the Obama years, with US oil production increasing a stunning 74%, and natural gas production growing 34%. Pruitt’s claims that “the previous Administration had a very anti-fossil fuel strategy” ring false and hollow in the face of this remarkable oil and gas bonanza. Renewable energy production grew even more profoundly in the same period, with wind and solar production in the US more than tripling, primarily because the costs of wind and solar came down dramatically. Solar costs have fallen by more than 60% in just last 5 years, and US wind energy costs are two-fifths lower today than when President Obama took office. Trump’s claim that he will bring back coal jobs is specious; coal employment has fallen due to market forces, especially automation and cheap natural gas, as well as climate concerns, with coal jobs falling from 180,000 in 1985 to fewer than 50,000 today. Solar energy alone already employs more than twice as many Americans as coal, and employment in the U.S. solar business is growing 12 times faster than the economy’s overall job creation. Trump’s coal job promises amount to a cruel trick on the very rural voters he claims to want to help. Most tellingly under Obama, the US energy economy — including oil, natural gas and renewable energy — enjoyed an unprecedented boom. President Trump and Republican leaders in Congress seem determined to throw the US energy economy and climate achievements into reverse. Not only are they attempting to undermine the EPA greenhouse gas regulations, they are also propose rollbacks in auto and appliance efficiency improvements, defunding emissions mitigation enforcement through a 30% cut in EPA manpower, slashing critical research for energy technology breakthrough, repealing methane emissions reductions, and many other cutbacks. One especially gratuitous example: the Administration is targeting for closure the voluntary Energy Star program that let consumers easily identify the most efficient electronics, TVs, and appliances. The program costs the government only $54 million a year to run, but saves US consumers $34 billion a year in electricity costs. American policies over the last decade have created an economic and energy superpower, spurring millions of jobs while cutting greenhouse emissions, and still allowing the US to do its part in limiting climate change. The policies of the Trump Administration are putting that all progress at risk, no matter their Orwellian rhetoric. 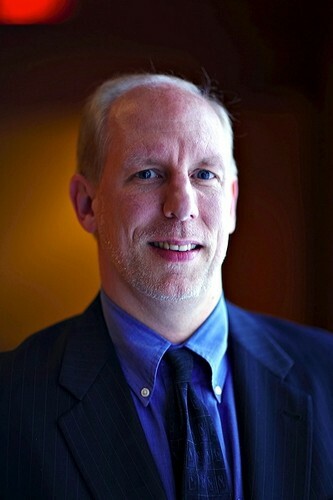 Paul Bledsoe is a professorial lecturer in the School of Public Affairs at American University’s Center for Environmental Policy, and a senior fellow at the Progressive Policy Institute. He was a staff member of the White House Climate Change Task Force under President Clinton and US Senate Finance Committee under former Senator Daniel Patrick Moynihan. American University’s School of Public Affairs offers education in the fields of political science, public administration, public policy, and justice. RT≠endor.